If you’ve been following us for any amount of time, you’ve probable seen that Daisy gets a monthly mystery box of goodies through a subscription to BarkBox. Well, if you’ve been thinking about signing up, we’ve got an incredible deal for you! As a special bonus for our readers and fans, BarkBox is offering $15 OFF a 6-month plan when you use promo code 15OFF6 at checkout. This is an amazing offer because the 6-month plan is already 34% OFF the monthly rate of $29. Apply the $15 OFF coupon code and the 6-month subscription drops from $19/month to only $16.50 per month! Go here to view all the pricing options. Free Shipping is included with all orders. Because this is a HUGE discount compared with other coupons they’ve offered in the past, BarkBox’s top dogs have put a very short expiration date so they don’t go broke from such a generous offer. 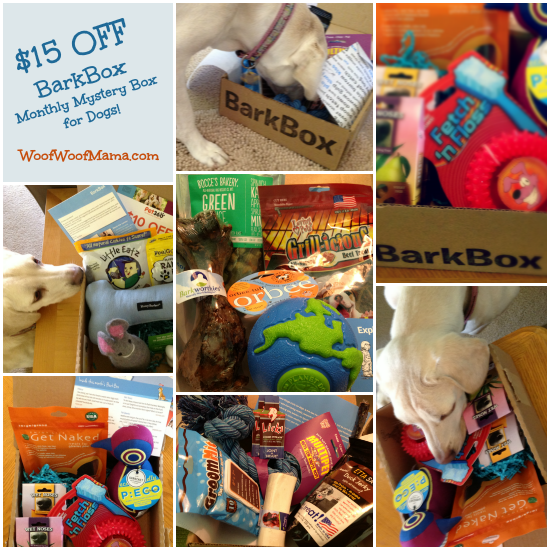 Be sure you order by June 4th to take advantage of the deal AND to order in time for your dog to receive the June box! If you want to see more photos and get some info about BarkBox, checkout our recent posts in the Mystery Box section of our blog. To learn more and get started with your order visit BarkBox HERE. You can customize a subscription for your dog based on their size and remember to use BarkBox Promo Code 15OFF6 to take $15 OFF a 6-Month plan! I’m always on the lookout for new and different toys to try with Daisy but today I spotted a super deal on two of her very first dog toys, that are still among her very favorite! 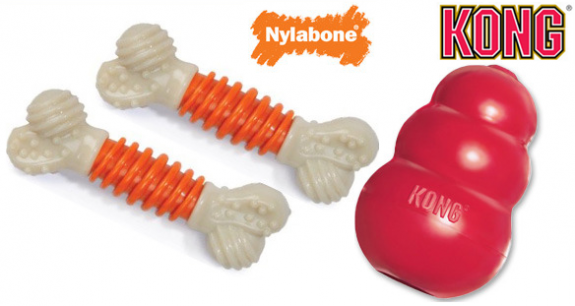 Both the Nylabone Pro Action Dog Toy and the KONG Classic Toy are on big time sale! Both of these items made our holiday gift guide list of Top 5 Most Durable Dog Toys so be sure to check out the details below to snag yours! Stop on over to here today and snag 40% OFF a pair of Nylabone Pro Action Dental Chew Bones for only $15 ($25 reg) with Free Shipping included! 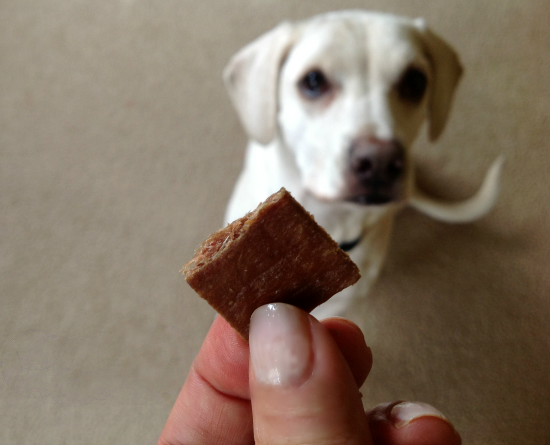 These aren’t treat bones…they are super strong and durable chew toys and are multi-textured for dental stimulation and help to satisfy a dog’s natural urge to chew. Bristles raised during chewing help clean teeth and control plaque and tartar build-up. 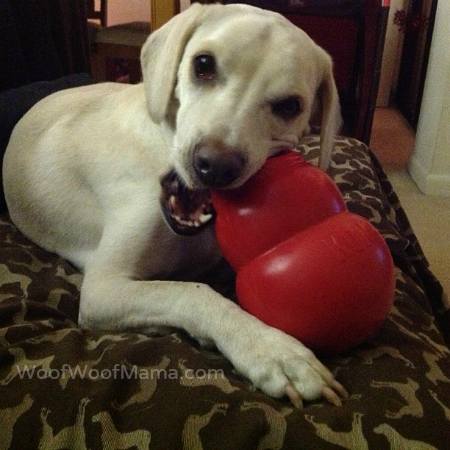 Also on sale is the KONG Classic Dog Toy in original Red! It’s available in Medium, Large and X-Large. Prices range from $10-$17 with Free Shipping included. That’s 33% OFF regular price and they’ll probably sell out quickly based on what I’ve seen in the past. 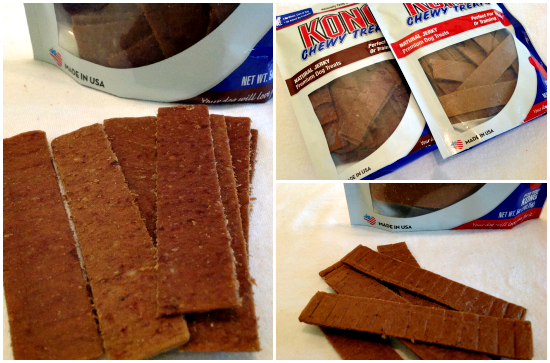 This is the Classic KONG toy with opening for stuffing treats, peanut butter, mashed banana or anything else your dog loves to eat. Freeze it and the fun lasts longer since they have to really work to get the good stuff out! Snag these and more pet deals, including the KONG Bounzer toy I wrote about earlier this week, all with free shipping at doggyloot pet deals site! If you’re looking for a fun, bouncy and durable dog toy, be sure to stop by doggyloot while the KONG Bounzer is on sale. It’s one of Daisy’s favorites and has held up so well since we bought it about 4 months ago. As of now, Medium and Large are still available but are sure to sell out quickly. If you’re not already a member, you can signup here for free access to all the latest doggyloot deals for dogs. Deals change frequently, and all include free shipping.